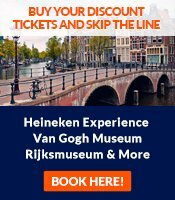 Interested to learn about famous people from Amsterdam? Find some biographies here of well-known Amsterdam people: a writer, two politicians, a soccer player, a philosopher, and others. We've limited ourselves to people who were actually born in Amsterdam. If not, we would get a very long list - many leading figures have lived at some time of their life in Amsterdam. After his career as one of the world's best soccer (continental football) players for among others Ajax, Feyenoord and FC Barcelona, Cruijff is now a soccer commentator on national TV. He grew up in Amsterdam East (Akkerstraat 22). His mother still lives there and Johan comes to visit her by bicycle. 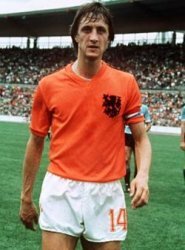 Speaking in his original Amsterdam dialect, and commenting on the art of soccer, he invented numerous sayings ("Cruijffians") that are widely used in the Netherlands, like "Every advantage has its disadvantage" or "Soccer is simple, but the most difficult thing is simple soccer." Having lived all over the world, he now lives in Barcelona but returns to Amsterdam often. Of all famous people from Amsterdam, he's probably the best known. During the 1840s, as a government bureaucrat in the Dutch colony of East India (current Indonesia), Dekker witnessed firsthand the atrocities of the Dutch colonial regime and the local leaders who cooperated with them. 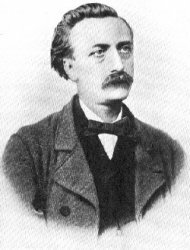 When his complaints were ignored, he wrote the novel "Max Havelaar" about his experiences, under the pseudonym of Multatuli. The book was widely read and discussed in many European countries. It contributed considerably to the strength of the anti-colonial movement. Dekker has a statue on the Singel in Amsterdam. 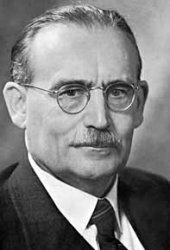 One of the most important Dutch politicians after World War II. He was a convinced social democrat, but a pragmatic one: "Not everything is possible, and certainly not at once." 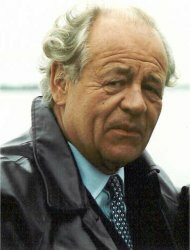 In 1971, he ended his party membership of the Dutch Social Democrats (PvdA) because the party had become too radical and leftist. As the first prime minister after WWII, he led the post-war reconstruction and ended Dutch colonialism in Indonesia. He initiated much social legislation, most importantly state pensions for the elderly. He was known for his personal attention for people and his prudence. International statesmen who visited him in his modest home, would get a cup of tea with one small biscuit. He was a teetotaller. He was born at the Haarlemmerplein 23 in Amsterdam. One of the West's most important philosophers - indeed one of the few truly infuential Dutch philosophers. From Sephardic Jewish descent, he was born in the Jewish neighbourhood of Amsterdam, what is now the Waterlooplein area. After a conflict with the rabbis, he was banned from the Jewish community. He wrote works on ethics and politics that would become hugely influential. He turned down all prestigious teaching offers, earning his living with lens grinding instead. He is considered one of the great Rationalists of the 17th century, an Enlightenment forerunner and the father of modern democratic theory. He never became romantically involved. 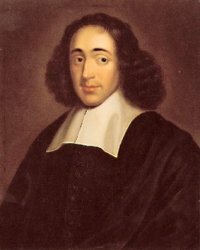 His most famous work, 'Tractatus Theologico-Politicus', ends with praising Amsterdam for it's civil liberties, even though many of his works could only be published after his death because of public anger over them. Of all famous people from Amsterdam, he's one of my favorite. Mr. Heineken took over the small family beer brewing company from his father, Gerard Heineken, in the 1940s and turned it into a huge, world-wide brand. Heineken was involved in everything and personally came up with the company's successful commercial slogans. He was interested in science, technology and politics, initiating prizes for great science projects and launching proposals to reform the European Union. In 1983, Heineken was kidnapped for 3 weeks, together with his driver Ab Doderer. Despite his family paying a ransom of 35 million guilders (16 million euros), Heineken en Doderer weren't released, but the police discovered and freed them. 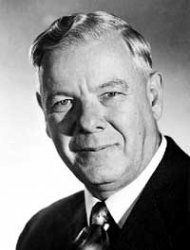 Hendrik Frensch Verwoerd, born in Amsterdam in 1901, would later become prime minister of South Africa. As such, he became the principal architect of the apartheid system (the separation of blacks and whites), even though the basics were laid earlier. During his regime, the Sharpeville Massacre took place and the ANC was outlawed. He was assassinated in 1966 by Dimitri Tsafendas. Together with British colonizers, Dutch 'Boers' (farmers) were the driving forces in the South African colony and later the apartheid regime of Republic of South Africa. 'Apartheid' (literally meaning 'seperation') continues to be one of the very few Dutch words used around the globe. Some famous people from Amsterdam who weren't actually born in the city, but have lived there during an important part in their lives are the famous 17th century painter Rembrandt van Rijn, jazz musician Nina Simone and author and Holocaust victim Anne Frank.